As summer turns to fall, we are sharing stories from students who had Bates-related summer experiences. After Armenia declared its independence from the Soviet Union on Aug. 23, 1991, everything related to Soviet rule had to go. 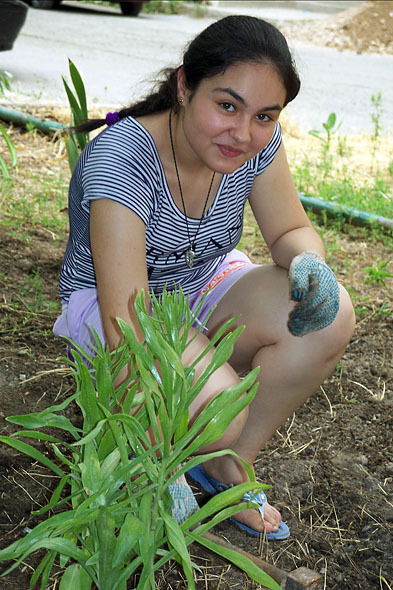 Gohar Shahinyan ’12, Armenian born and raised in the U.S., traveled back to her homeland last summer to help bring back green space that the Reds had stewarded quite well: neighborhood commons, where townspeople and their children once gathered, socialized, and played. With the end of Soviet rule, “our” turned to “mine,” and the question of who might now own once-common properties “consumed and engrossed” the Armenian people, who were also eager to see reminders of Soviet rule disappear — even if it meant abandoning good things, like the once well-tended commons. In a peripheral neighborhood in the capital city of Yerevan, Shahinyan enlisted townspeople to turn an empty plot of land into an area of rest and entertainment for children and adults. They planted flowers, installed benches and trash cans and created a small, safe play area for the littlest citizens. 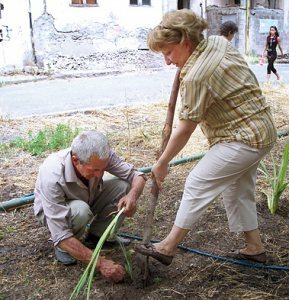 It was one thing for townspeople to clean up the space and throw out the garbage; it was harder for them to shed their own social, political and economic baggage and change their understanding of their environment. But what happened next was new behavior. Recently, Shahinyan heard a story. A middle-aged woman, while leaving her apartment building, threw a wrapper on the ground and kept walking, a not-uncommon occurance. But what happened next was new behavior. “A group of teenagers confronted her, but she kept denying her deed,” Shahinyan says. “Then a man who had been looking out the balcony also began addressing her.” After some back-and-forth bickering, the woman picked up her litter and threw it in one of the newly placed trash cans.